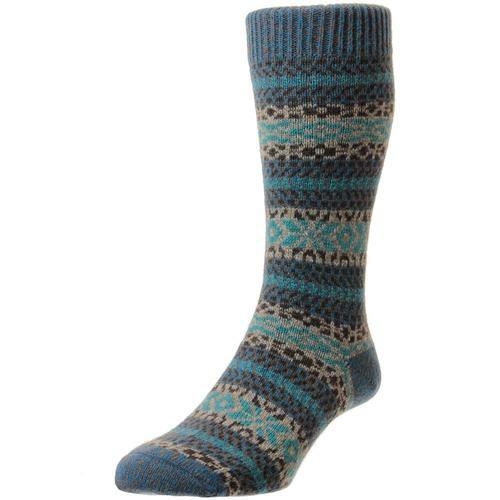 Pantherella 'Hanson' Retro Geometric Houndstooth Socks. Made in England. A fab Sixties Mod bold contrast Houndstooth design is expertly fashioned into a super stylish geo pattern. 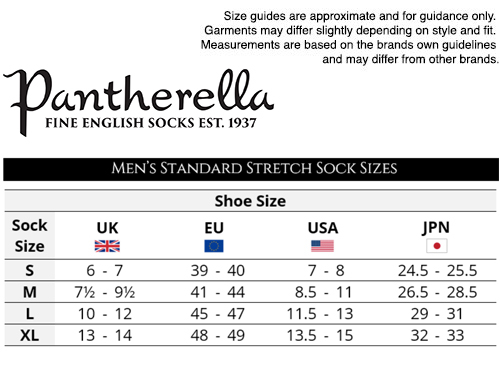 Unique and stylish Mens Mod socks - Pantherella 'Hanson' Geo Houndstooth socks make for a great gift idea. Pantherella 'Hanson' Mens Retro fine knit Merino mix socks in navy. A striking and stylish Geo houndstooth pattern in green makes for a cool 1960s Mod look. 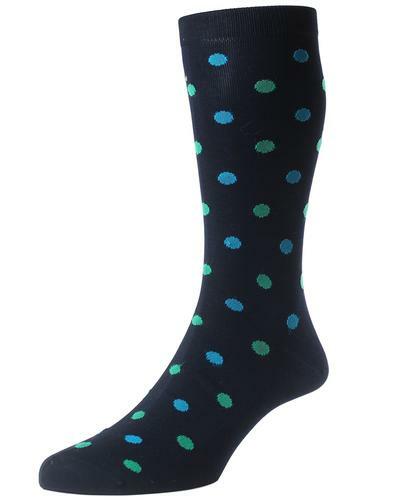 Add the finishing touch to your ensemble with a pair of Pantherella 'Hanson' houndstooth socks. Made in England. Make for a fab Retro gift idea. 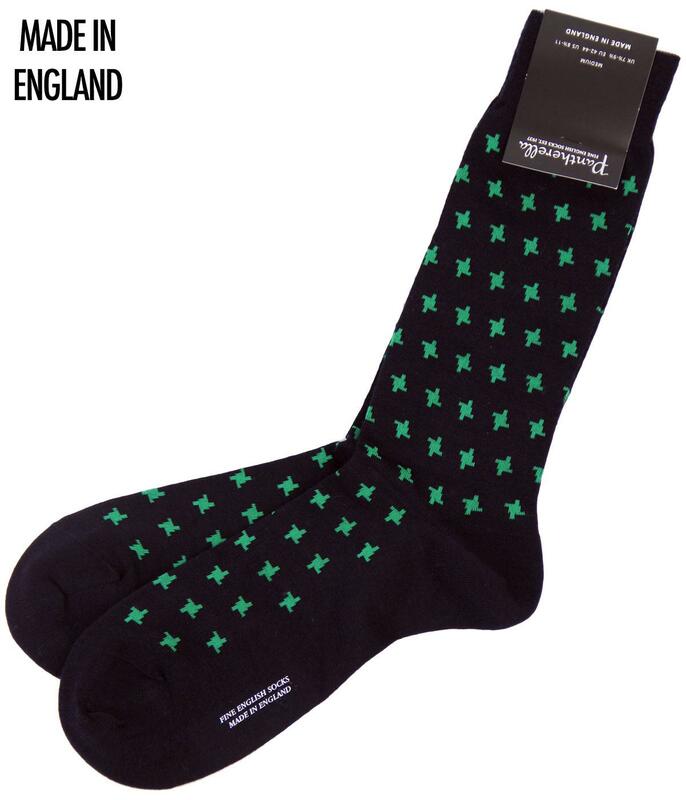 Key Points: Pantherella 'Hanson' Geo Houndstooth socks. Made in England. Composition: 63% Merino Wool, 37% Nylon. Care: Wash with like colours at max 40°. SKU: 595337 002 (N) Hanson Geo Houndstooth Socks. Medium - UK 7.5 - 9.5, Euro 42 - 44, US 8.5 - 11. Large - UK 10 - 12, Euro 45 - 47, US 11.5 - 13.